AccountantsAuditCobia Accounting – 1st Month Free! 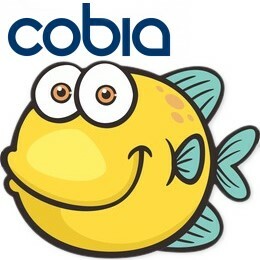 Cobia Accounting – 1st Month Free! Low fixed fee accounting and bookkeeping packages for contractors and small businesses. As a trusted parter of Kashflow we help you get the most out of this fantastic software. Our fully accredited accountants will guide you through the implementation process and make sure you get a real time view of how your business is performing. Since 2008, Cobia Accounting has been helping individuals and companies reach their full potential by providing a range of accounting services for contractors, freelancers, sole-traders, self-employed individuals, startups and small businesses. Our friendly and flexible team of qualified accountants are experienced in working with Kashflow to keep company accounts compliant and up to date, saving you time, money and hassle. We help maximise your income by setting up your limited company, which reduces your tax bill and increases the amount you have left over. As with Kashflow, you'll be able to access our online portal wherever you are. You'll also gain access to a personal accountant who will make proactive recommendations for running a tax-efficient company and remind you when important deadlines are approaching.